The online world has reached massive proportions and the offer of website builders is as big as it gets. However, even if we have all these options, it’s not easy to find something that you can rely on. Most website builders are just cheap; the templates are boring and the designs lack imagination: Plus there are plenty of limitations to the design. Can it really be that hard to design your own website? According to my latest discovery, it’s not. IM Creator is really a step forward from what we can now find on the online market. 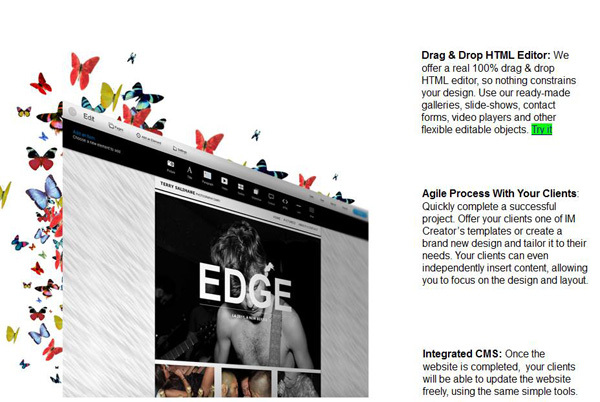 It really seems like this website creator is offering the perfect DIY website maker solution. As a photographer, what I am particularly looking for in such a service is freedom. No restrictions on design, no complicated code limitations. I love creating stuff on my own, but until now, creating a website was something that I wasn’t able to do because my web development skills are not good. I didn’t want to use a website builder because they usually deliver average results. So that why I have waited until I found IMCreator. I might sound picky to you, but it’s all for the better. The pickier we are, the more they try to do it better. And we already have results in this area! 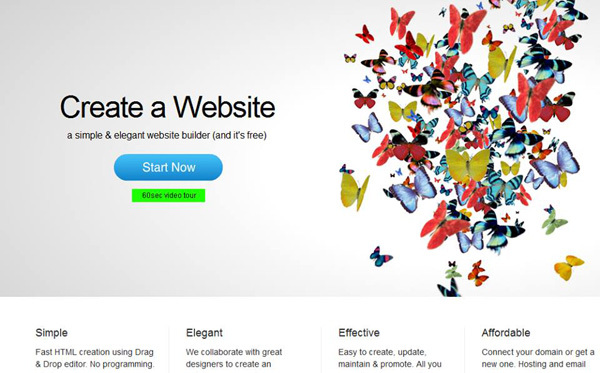 IM Creator offers a codeless, free platform where you can build your website. It’s easy to test for the quality of the product when you don’t have to pay to sign up. What I first noticed about it it’s smoothness. I decided to take it for a test drive and I opened a blank page with a very easy-to-use, intuitive menu on top. To add an element, you simply press the “Add an Element” button and take your pick from what you want to insert, be it a picture, a slideshow, etc. The changes you make appear in real time, so once you insert a picture for instance, it’s ready for editing right away. 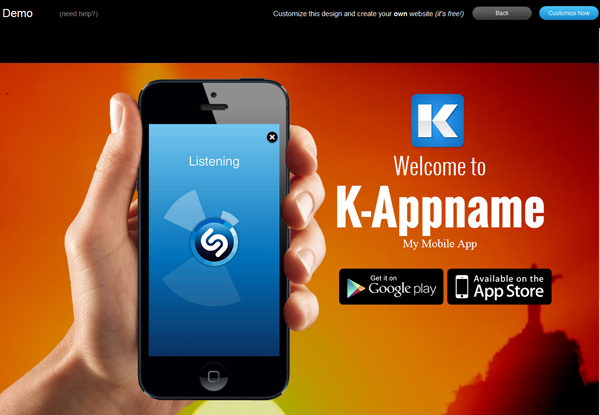 You can link your elements by hitting the link button, add subtitles and captions. Then you move on to text, and in no time, you have a website! All this aside, for me, the strongest point of IM Creator is the visual aspect. 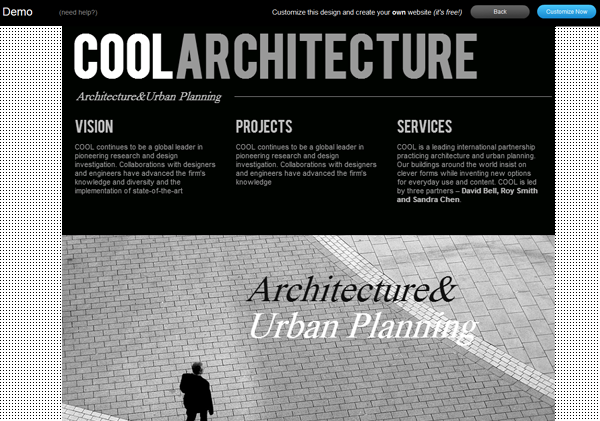 The templates are very innovative and artsy, unlike the same old outdated ones we usually get. 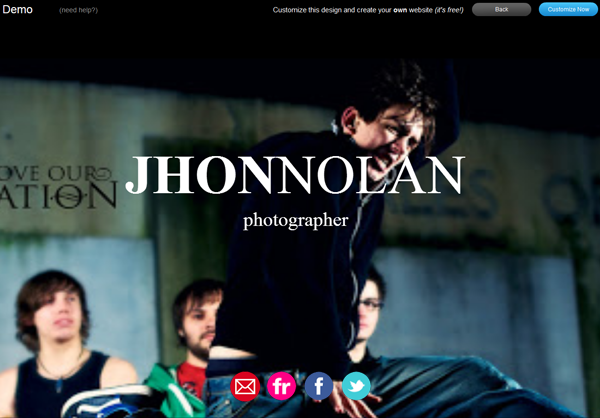 I love the fact that instead of paying a lot of money to a web designer, I can be in charge of how my website will look like, for free. Photographers and business owners will be very happy with this package, I can tell you that. One last thing: it can take you only a few minutes to have your website ready. Imagine how different versions you can create for yourselves in an hour. Give it a try! 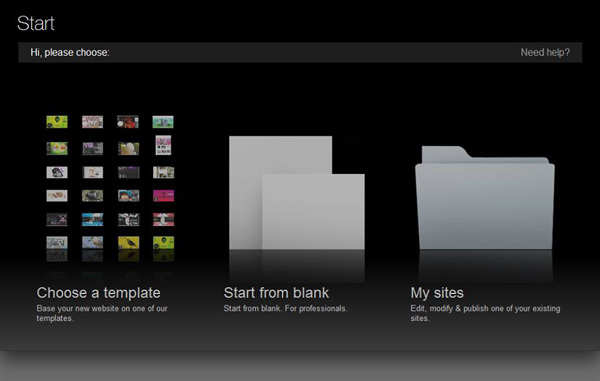 Here are some beautiful examples of website templates that you can use on IMCreator.